Here is another hand drawn doodle of Batman. 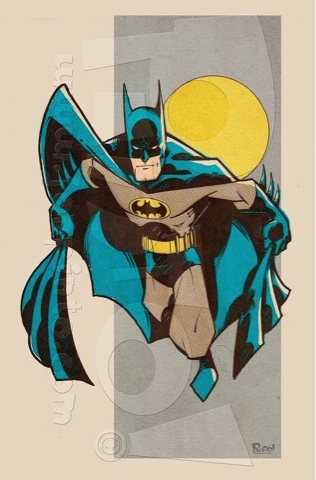 I grew up when Batman was "blue and grey" in the comics and he had that awesome yellow circled icon on his chest. Still my favorite version of Batman. I scanned the inked piece in and added some retro comic coloring because I find it so much fun to do!